We are pleased to offer a Christmas Hamper Service for our customers. 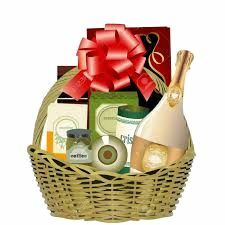 Your hamper(s) can contain any of our grocery, wines, beer or gift items which will be displayed in a wicker basket / pretty container, wrapped in cellophane and decorated with ribbons and bows. Please let us have your order by Monday 17th December and note that the last collection is 12pm on Monday 24th December. If you wish to order additional supplies such as vegetables, fruit, milk and bread please visit our Grocery page or for turkeys, meat or fish please visit our Meat / Fish page.